Affordable Shopping just got better with Debit Card EMI from Flipkart! Read on to find out more. We often shop online because it’s both pleasurable and convenient. But what if you could make sure that shopping online was also the most affordable option? 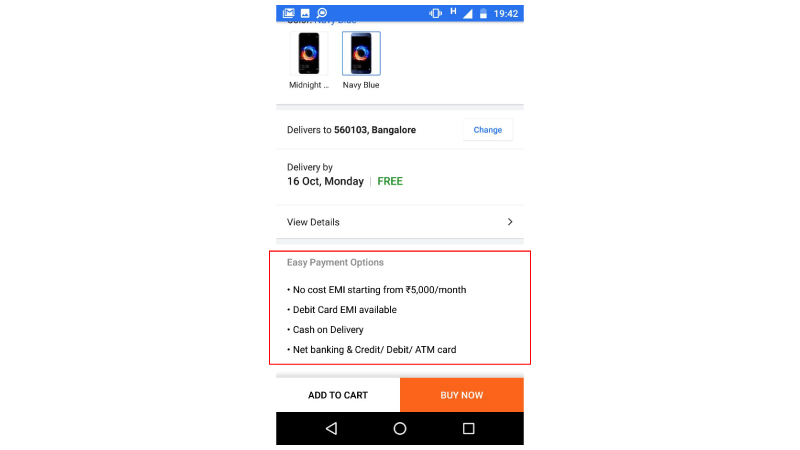 In recent months, Flipkart has introduced the next generation of payment methods such as No Cost EMI and Credit Card EMI for customers. EMI on Debit Card, which Flipkart has introduced in partnership with the top banks in India, is the latest in the series of payment innovations to help make online payments easy and affordable for customers. According to data released by the Reserve Bank of India, there are 79.38 crore debit cardholders while credit cardholders account for only 3.14 crore customers. 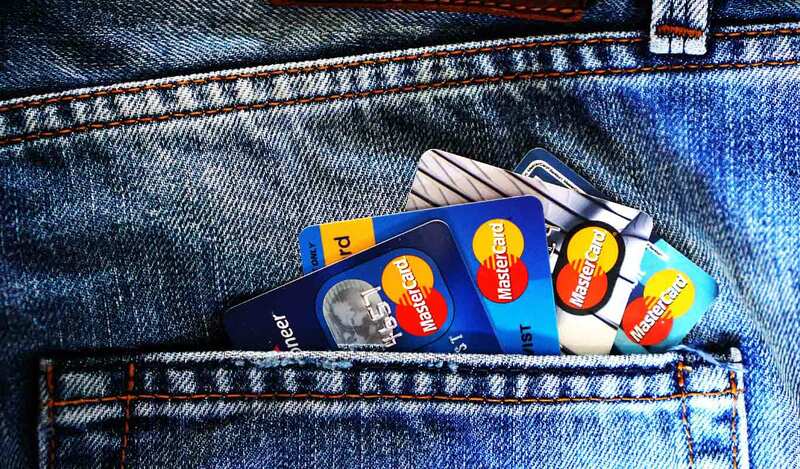 A large number of online shoppers are not credit card users. In fact, not only do they not own a credit card, they are wary of using credit cards for shopping, particularly for online purchases. 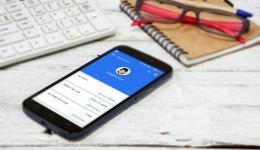 Flipkart has designed Debit Card EMI specifically to enable such customers to shop confidently without worrying about denting their monthly cash flow. 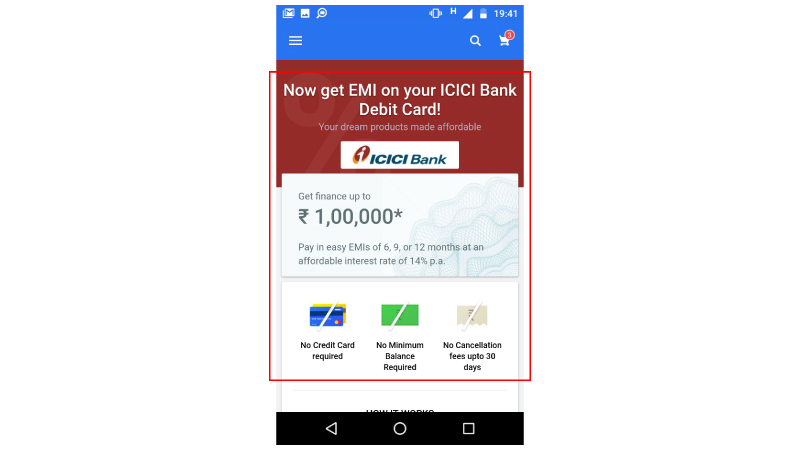 What’s new about Debit Card EMI from Flipkart? Currently, merchant EMIs are available to bank customers only on credit card transactions. Debit Card EMI from Flipkart intends to help debit card holders, who significantly exceed the number of credit card holders in India. By introducing Debit Card EMI, Flipkart provides credit accessibility to a large base of its customers. 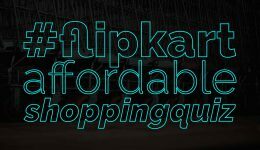 For Flipkart customers, this means that expensive, high quality products are now a lot more affordable. Which banks have partnered with Flipkart to offer Debit Card EMI? 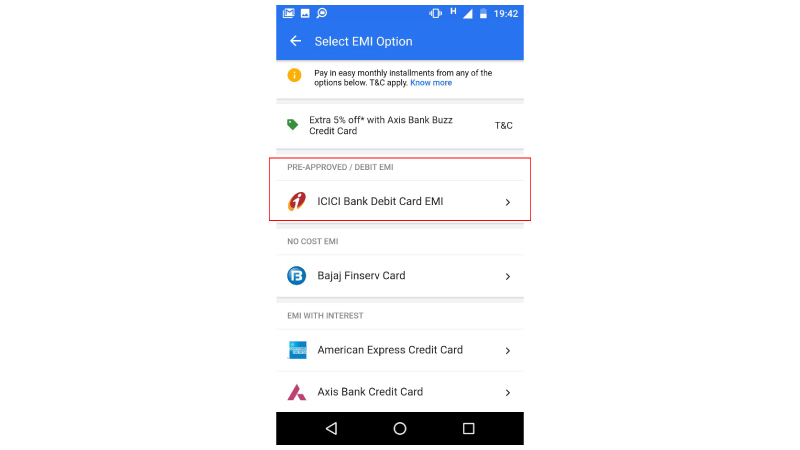 At present, Flipkart partners with Axis Bank, State Bank of India (SBI), HDFC Bank and ICICI Bank to offer Debit Card EMI facility to customers. Together, these banks have the largest customer base, many of whom are also among registered Flipkart customers. The Debit Card EMI option is available to select Flipkart customers at the discretion of the bank partner. 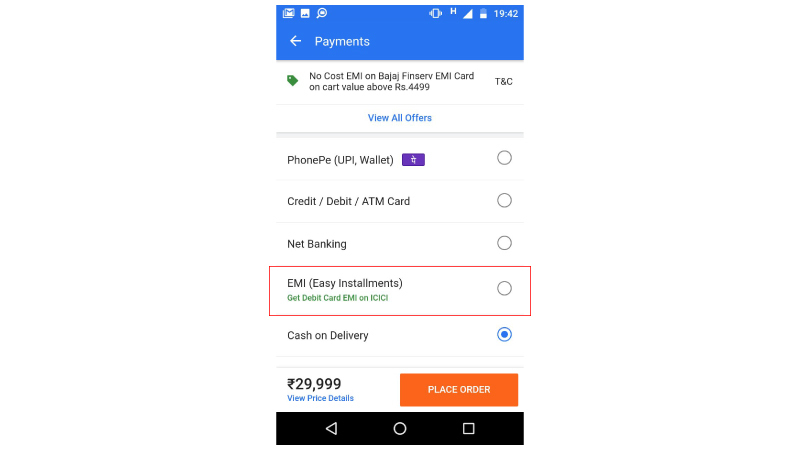 Who is eligible for Debit Card EMI from Flipkart? Flipkart, in association with the top four bank partners, has launched an innovative and convenient payment option for its customers. The Debit Card EMI option from Flipkart is currently available for a selected group of customers who are pre-approved by the bank partners. Eligibility is determined not by Flipkart, but by the bank partner based on the customer’s past transaction history and relationship with the bank. 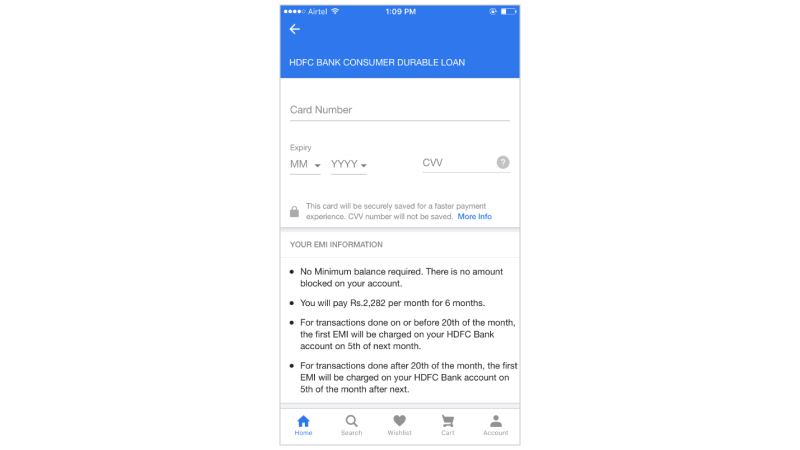 How do I know that I am eligible for Debit Card EMI from Flipkart? Want to find out if you’re eligible for Flipkart Debit Card EMI? It’s easy. 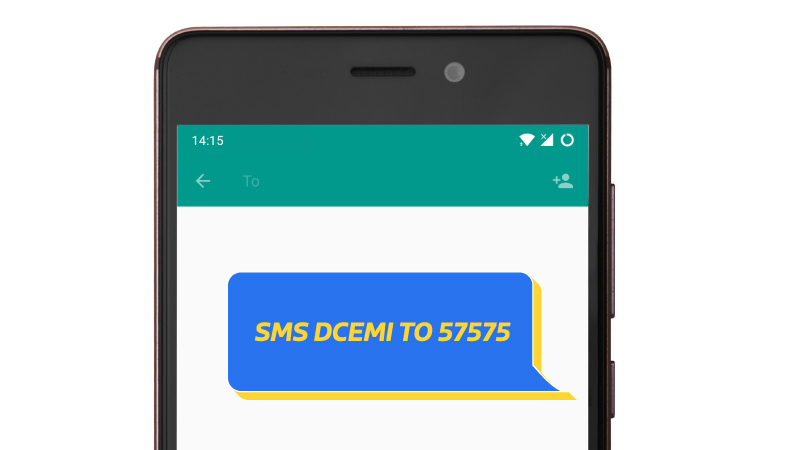 Just SMS DCEMI to 57575 and find out your status! If you’re eligible, a ‘Debit Cart EMI available’ text will be visible on the app or website under easy payment options. Registered Flipkart customers who are considered eligible for Debit Card EMI will also see customized communication about the Debit Card EMI offering on the Flipkart home page as well as the product page and payment screens at the time of checking out of their shopping carts while making a purchase on Flipkart. These eligible customers can now pay for their purchases made by debit card on Flipkart in equated monthly installments (EMI). If you’re not eligible for the Debit Card EMI option, you can always explore EMI options on your Credit Card! Flipkart has no control or influence over the interest rates levied by the bank partner. You are requested to check with your bank on the terms and conditions of Debit Card EMI. What is the minimum purchase amount on which Debit Card EMI is applicable? The minimum purchase amount applicable for Debit Card EMI varies for each bank partner, ranging from ₹5,000 (ICICI Bank) to ₹8,000 (Axis Bank and SBI) and ₹10,000 (HDFC Bank). You are requested to check with your bank about the minimum amount applicable to your purchase. What documentation is required to avail of Debit Card EMI? Eligible customers don’t need to submit any application forms or documentation in order to enjoy the benefits of Debit Card EMI. Pre-approved customers will see this payment option during the checkout process. How do I avail of Debit Card EMI to shop on Flipkart? Unable to see the Debit Card EMI communication on your payment screen at the time of checkout on Flipkart? It is possible that your bank has not approved your eligibility. In such cases, please contact your bank and check what you need to do in order to be eligible. 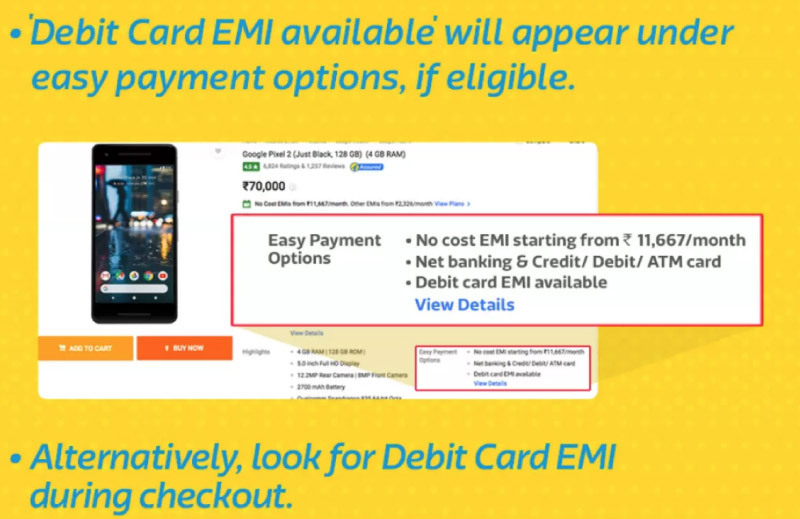 If you are pre-approved for Debit Card EMI from Flipkart, you will see the following screen on your Flipkart mobile app home page or desktop website home page. Ready to checkout? Review your payment options and see if Debit Card EMI is applicable to your purchase. From the options displayed on your screen, select EMI (Easy Installments). If you are a pre-approved customer of your bank, your applicable bank option will be displayed on the screen. In the next screen, select the applicable bank for Pre-Approved/ Debit Card EMI. Note: The bank option will be shown to you only if you use the same verified email address or phone number for your bank account as well as your Flipkart account. Against the applicable bank loan, select your EMI tenure. The applicable interest amount levied by your bank is shown along with your payment amount. Please note that Flipkart is not responsible for the interest rates levied by your bank and cannot refund the interest amount. Enter your Debit Card number and 3-digit CVV number as you would with any online debit card transaction. 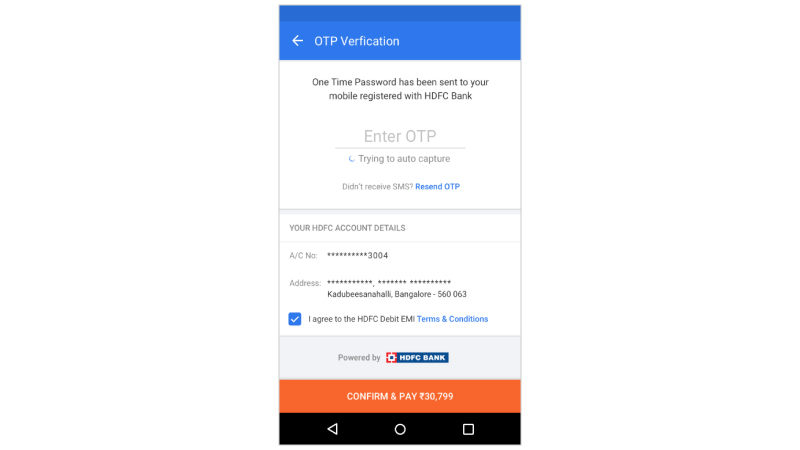 Enter the One-Time Password (OTP) — the numeric password that is sent by SMS to your registered mobile phone number — to complete the online debit card transaction securely. On some devices, the app will auto-capture the OTP from the SMS. If this does not happen, please enter the OTP manually. Do complete the transaction quickly as the OTP is valid only for a short duration, as specified in the SMS text. Do accept the terms and conditions by checking the box to complete the transaction successfully. If you face any issues while completing your transaction, please reach out to your bank’s customer support helpline. That’s it. After you complete the payment by selecting the Debit EMI option, your monthly debit card statement will reflect the EMI amount with the interest included. Should you have any questions about the particulars in your statement, please reach out to your bank. With Debit Card EMI from Flipkart, you can have more control over your monthly cash flow and still afford the expensive, high quality products that you want to purchase. Why postpone your dreams when Flipkart can bring them closer to you? next Everything you need to know about Flipkart Pay Later — the most convenient & trusted way to shop!